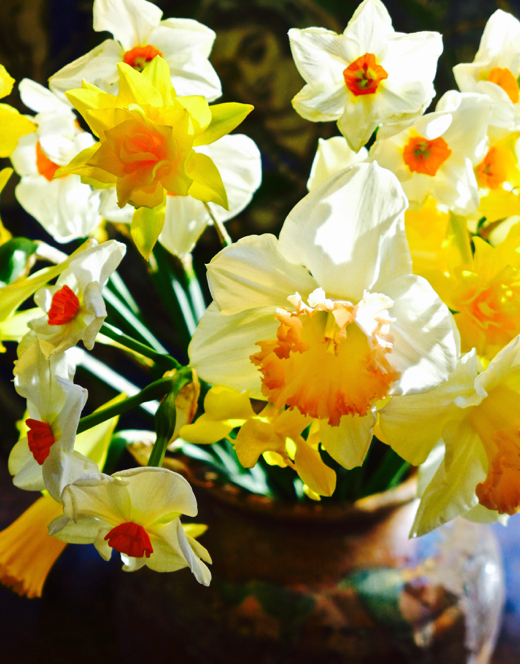 A mixed bouquet of garden daffodils glows in the early morning sun. 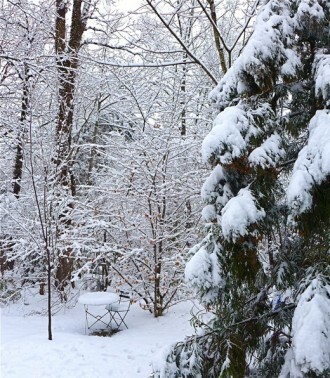 We’re between seasons, on the cusp but not there yet. The skies are as likely to be grey as blue, and even as I write this, a cold north wind is lashing at the bare branches outside my window. It’s too soon to put away our gloves and down parkas. Early blooming forsythia lights up the bare woods with golden fireworks. The harbingers are there, however. All around town the forsythia is blooming wildly. Wands of bright yellow blossoms erupt like bursts of golden fireworks, radiant against a backdrop of grey brambles and naked trunks. 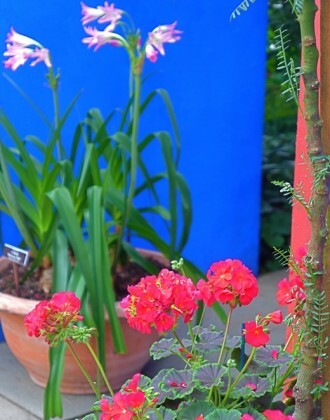 Why are the earliest flowers always the brightest? 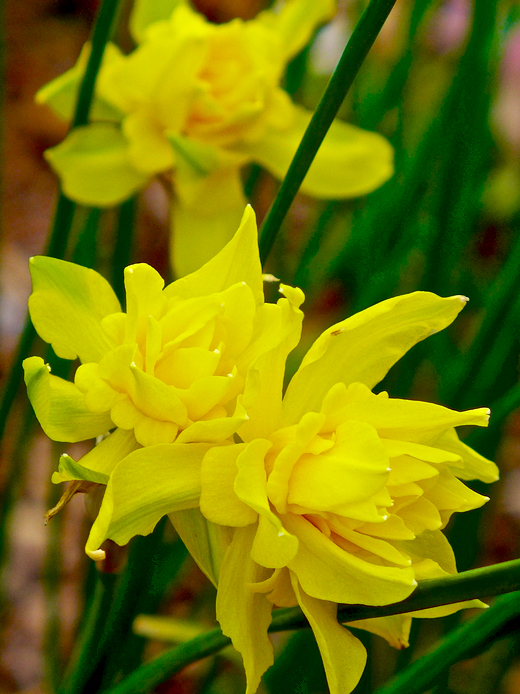 Heirloom daffodil “Campernelle” delights senses with its ruffled petals & mysteriously intoxicating perfume. Daffodils like February Gold and Monel jumped the gun this year, ignoring layers of ice and snow to push their acid yellow heads above ground in mid-January. Now there are sunny rivulets trickling through the masses of hellebores in our woods. Actually, I’ve planted so many daffodils that I’ve lost track of their names. 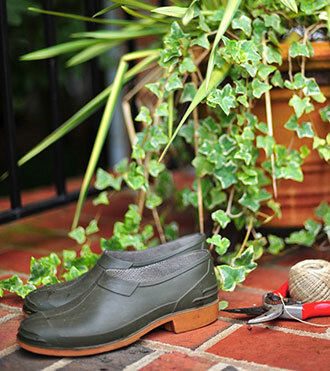 Some are quite reliable, returning year after year to brighten familiar patches of earth. Others, like Campernelle (aka Narcissus x odorus ‘Plenus’) are prodigals who vanish for a while, only to return home when you least expect them. This heirloom is doubly irresistible, with ruffled petals as intricate as those of an old rose and an alluring fragrance. The scent is cool and a bit ethereal, but with a latent whiff of sensuality. The kind of perfume Grace Kelly might have worn—if only someone had bottled it. 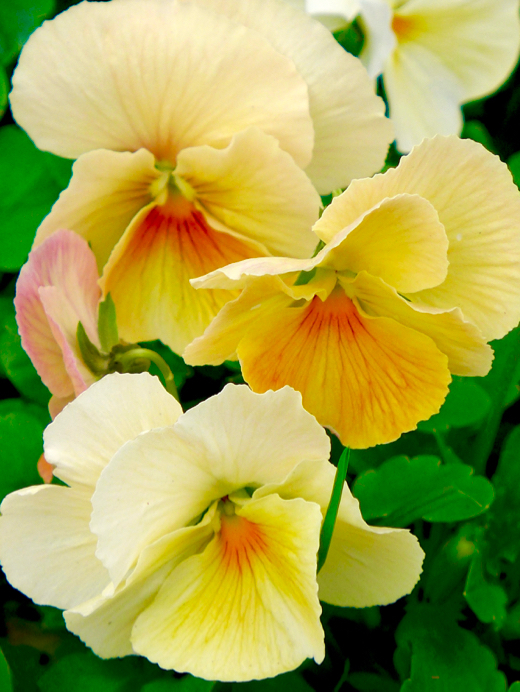 Antique pansies brushed with yellow & tangerine illuminate bare patches in the garden. Seen close up, the delicate shading is even more thrilling to the eye. To reignite hope, perhaps we have only to paint our front door sunshine yellow (as a neighbor recently did), or buy that amazing golden canary skirt seen on-line, or, more simply, clip a handful of delicate antique pansies for a tiny vase on your desk. 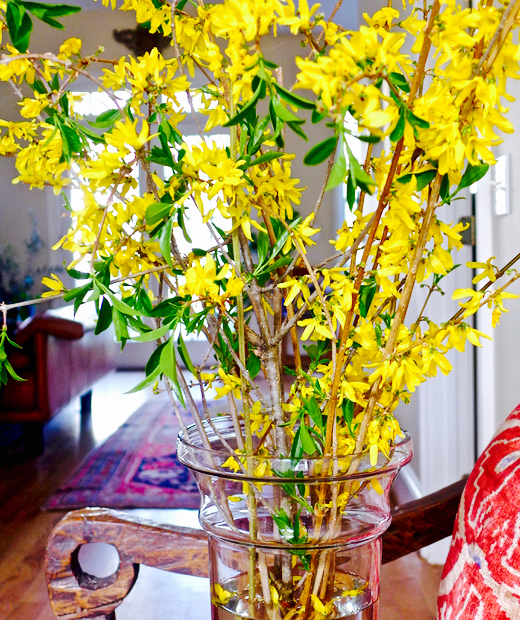 Forsythia cuttings can be forced in a vase of warm water, bringing a welcome sense of anticipation to the front hall on a dark day. Jammed into a big vase on the Indonesian bench in our front hall, the yellow-flowered wands of this early bloomer create a welcoming sense of anticipation, especially when lit by the rays of the late afternoon sun. 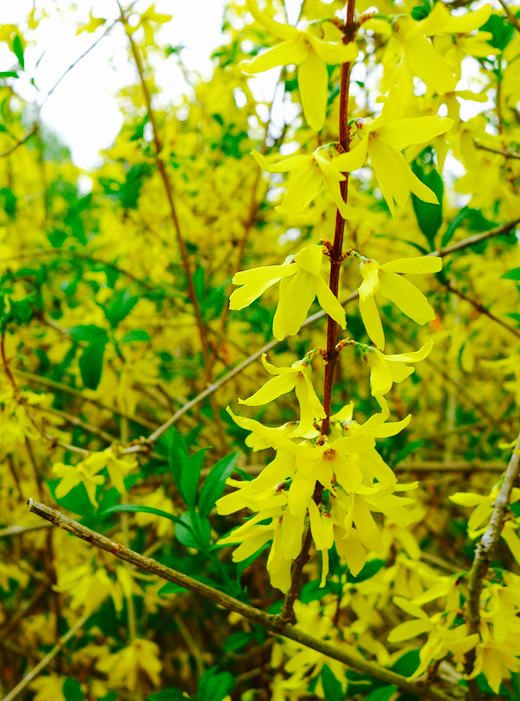 If the forsythia is blossoming, can spring be far behind? 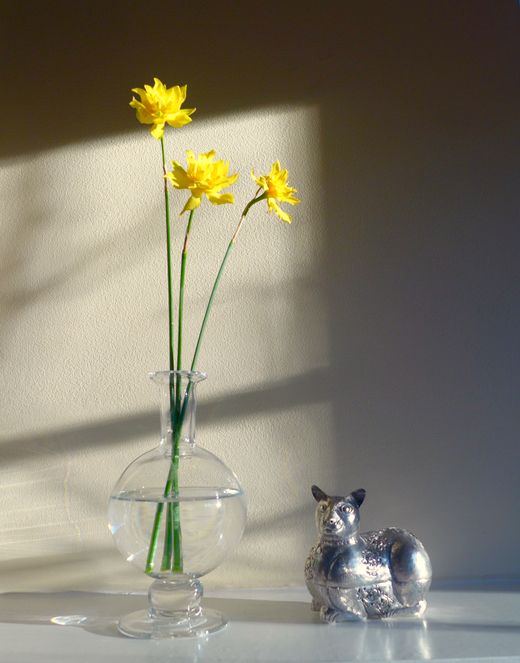 Narcissus “Campernelle” turns its ruffled face to the early morning sun. 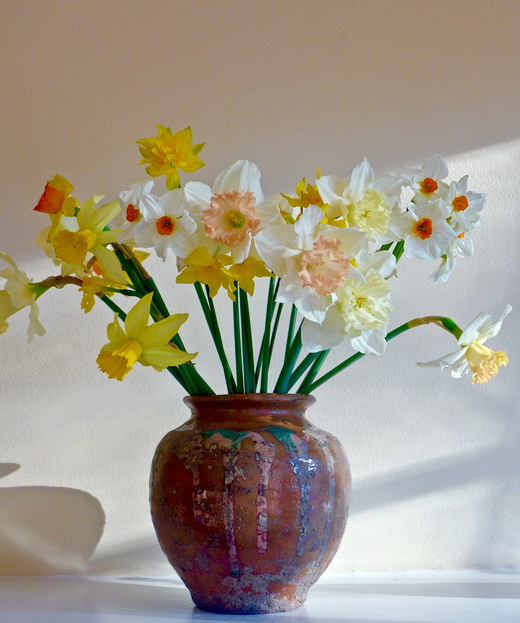 Randomly cut daffodils from the garden–including Accent, Seven Sisters & Ice Follies–make a sumptuous bouquet for the mantelpiece. 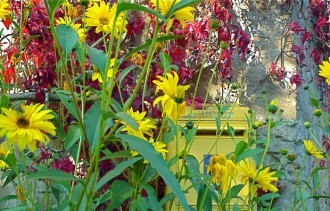 …as they are in the most voluptuous mixed bunches. 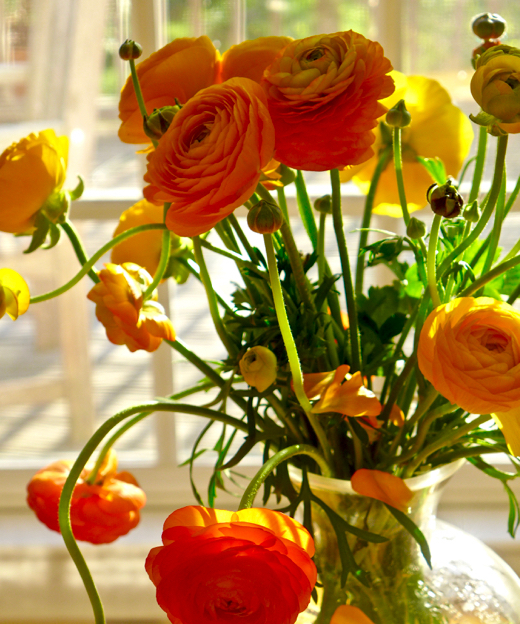 For B’s birthday, I set the breakfast table with a bouquet of luminous gold and orange ranunculus. I love the way some stems droop and curl, while others stand up ramrod straight. 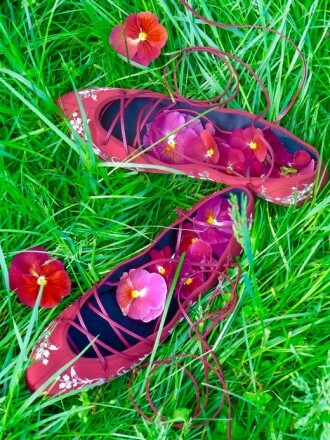 Their translucent petals glow when backlit by the sun. By the way, the ranunculus, which is related to the wild buttercup, is said to have originated in Iran. One legend tells of a young prince who always wore green and gold. He fell in love with a beautiful nymph and sang to her incessantly. When the other nymphs decided they’d had enough of his serenading, they shut him up by turning him into a flower. The ranunculus’s message is “You are charming [or attractive].” Just don’t sing about it. A bowl of exquisitely perfumed Meyer lemons will not only lift the spirits but may also re-awaken a dulled winter palate. 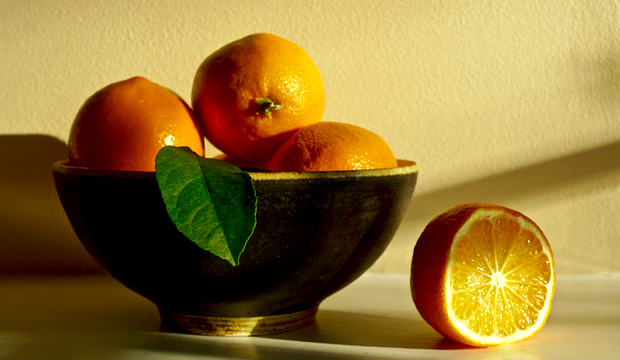 Citrus is a lively winter fruit, coming at the very moment that most of us can’t bear to look at another root vegetable. I adore Meyer lemons: Their unusual deep burnished golden hue is probably the result of a cross between an ordinary lemon and a mandarin orange. The plus, of course, is that Meyers have exquisitely perfumed skins and juice that’s sweeter and less acidic than everyday Eurekas. A small bowl of these winter beauties will not only lift your spirits every time you glance in their direction, but may also awaken a dulled winter palate. Zest one to add an unexpected twist to your favorite cocktail, grate the skin of another into risotto with winter greens, and turn the rest into salt-preserved lemons to light up almost any Moroccan tagine–even one with root vegetables. 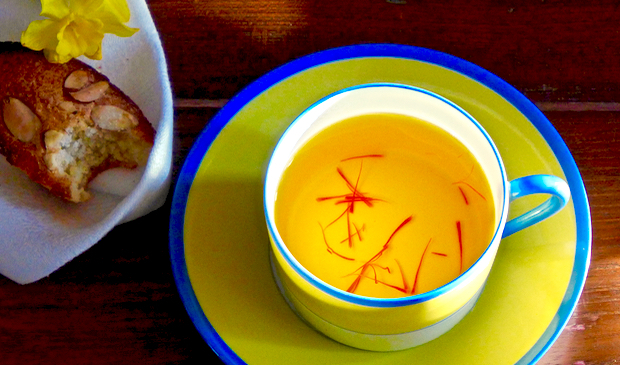 It takes only a few crimson threads to make a cup of saffron tea. 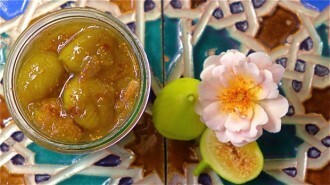 The infusion has been used to relieve depression & create a sunny disposition. Her recipe is easy: Add a tiny pinch of saffron—just a few bright red threads–to a tea cup filled with hot but not boiling water. Let it infuse for 10 minutes. The water in the cup will turn brilliant yellow and when you sip it, you’ll taste the true essence of the spice. Willard adds honey and lemon, but to me, that’s gilding an already fragrant lily. I find the flavor of the unadulterated tea to be strangely addictive—like the spice, it has a sweet, hay-like taste but there’s also an odd metallic zing that makes me want a second cup. Of course, you might like to nibble a little something sweet with your tea, such as this almond financier. Couldn’t we all use a little more of that?